Can you Handle the Truth About Sugar? While most of us on a weight loss mission concentrate on lowering fats, many of us fail to consider the role that refined sugar plays in our diets and in contributing to our growing waistlines. Large amounts of refined sugar are often hidden in many of the foods and drinks we consume every day without us even knowing it. This article discusses why an excessive level of refined sugar in our diet is bad and provides some tips for reducing it. A can of soft drink has 39gm of sugar per serve…(our average is 22gm a day). It should be around 40gm total including natural sugar from foods. Although many of us think of sugar as being a relatively simple concept, the fact is that sugars can be quite complicated to understand. From a weight loss perspective it is very handy to know a few facts about sugar, such as the various names it comes under, etc. On food labels sugar can be listed as brown sugar, palm sugar, cane sugar, corn syrup, fructose, fruit juice concentrate, glucose (dextrose), high-fructose, honey, invert sugar, lactose, maltose, molasses, raw sugar, (table) sugar (sucrose), syrup. All sugars contain 17 kilojoules / 4 calories per gram. Simple sugars on their own have no nutritional value (no vitamins, minerals, etc). Experts suggest that it is ok for sugar to constitute up to 10 per cent of our total energy intake per day. The average Australian currently consumes more than 40 kilograms (90 pounds) of sugar per year, which is equivalent to around 22 teaspoons and equals 1840 Kilojoules / 440 calories per day. In Australia , the consumption of soft drinks, which are sweetened with sugar, has increased by 30 per cent in 10 years. As well as knowing the facts above, it’s also useful for us to know the various effects sugar has on our bodies. Can add a lot of empty calories to our diet. 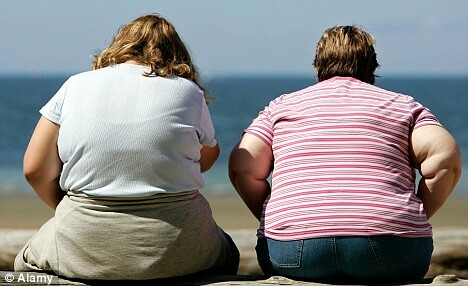 Increases our blood sugar and insulin levels which can cause our bodies to begin storing and stop burning fat. Can cause an insulin drop (following a surge) which can leave us feeling tired and hungry (usually for something else very sweet). Needs valuable vitamins and minerals to digest which our bodies draw from existing stores reserved for other roles such as fat burning and muscle building. May replace other foods that are high in vitamins, minerals and other important nutrients in our diet. Upsetting the body’s mineral balance. Contributing to hyperactivity, anxiety and depression. Contributing to a weakened defense against bacterial infection. Increasing the risk of coronary heart disease. Interfering with the absorption of calcium and magnesium. That may be very true for the vast majority of us. But what many of us don’t realize is that most of the sugar in our diet comes from the processed foods that we eat, not the sugar that we add to our cooking and meals. Because sugar is addictive and most of it is hidden in the foods and drinks we enjoy everyday, reducing sugar in our diets is not easy. Having said that, there are some things that we can all do to gradually reduce the amount of sugar we consume each day to a more healthy level and in doing so help us lose weight and improve our waistline. Learn to enjoy foods that are naturally sweet, without added sugar. For every cup of sugar indicated in a recipe only use 2/3 to 3/4 of a cup and replace omitted sugar with an equal amount of non-fat dry milk to increase the nutritional value. Use spices and herbs such as cinnamon, nutmeg, cloves and ginger to enhance the flavor of foods naturally. Make homemade sauces and toppings with less sugar. Use dried or fresh fruit or frozen fruit juice concentrates to sweeten cereals and baked goods instead of table sugar. Take your time shopping and read labels to reveal hidden sugar and gain information on the overall nutritional value of foods. Buy fresh fruits or fruit packed in water instead of syrup. Buy fewer foods high in sugar such as biscuits, chocolate, soft drinks, and baked goods. Be careful not to replace foods high in sugar with foods high in fat and sodium. Drink 100 percent fruit juices, water or unsweetened sparkling and mineral waters, instead of cordial and soft-drinks. When reading “Nutrition Facts” labels remember that 7 grams of sugar is equal to around 1 tablespoon of sugar. Avoid heavily sweetened breakfast cereals – go for ones that have 10 grams of sugar or less per serving. Energy bars and drinks are a common source of hidden sugar – look for ones that have less than 12-15 grams of sugar per serving. Be wary of reduced fat and fat-free products, sugars are often added to mask the loss of flavor when fat is removed cutting out fat, but not necessarily calories. Mix fresh or dried fruit into plain yogurt, many fruity yogurts are loaded with added sugar. Learn to appreciate the natural tartness of fruits like grapefruit, strawberries and other berries. Choose fruit when it’s in season and it shouldn’t need any added sweetness. If you must drink soft-drinks chose the smallest sized can or bottle you can find – soft drinks are now commonly sold in 600ml bottles, which provide at least 12-15 teaspoons of sugar. Be mindful that fats and sugars are often found together in foods like chocolate, biscuits and cakes making them particularly bad for those of us with weight loss goals. If we control the amount of sugar that is added to products like Weet Bix and Vita Brits, we may be able to consume less sugar than if we eat pre-prepared cereals like Coco Pops and Fruit Loops. Be cautious with products labeled “no sugar added” – this doesn’t mean that the product doesn’t naturally contain a lot of sugar. Remember that while all sugars contribute four calories per gram, some foods contain more concentrated sources of calories than others – for example, a teaspoon of table sugar contains 16 calories, a teaspoon of Honey contains 22 calories, while a teaspoon of orange juice or applesauce has just four calories, and also contains vitamins, minerals, and fiber. Make a habit of eating at least three good meals per day – one of the best ways to overcome cravings for sweets is to eat balanced meals at regular intervals throughout the day. Try to avoid having dessert with a meal that is high in carbohydrates like pasta, bread, or rice. Try to incorporate more wholemeal carbohydrates (wholemeal pasta, brown rice, etc) into your diet. Try limiting dessert to once or twice a week. Use sugar substitutes (stevia is the best) in recipes and hot drinks instead of sugar. 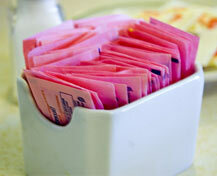 I will post about artificial sweeteners soon. When you eat foods that contain added sugars, choose foods that also contain nutrients like vitamins, minerals or fiber. Know how much sugar is in the foods you eat by looking them up in the Nutritional Food Tables available free on this website. This article discussed why an excessive level of refined sugar in our diet is bad and provided some tips for reducing it in our diets.